Disaster! 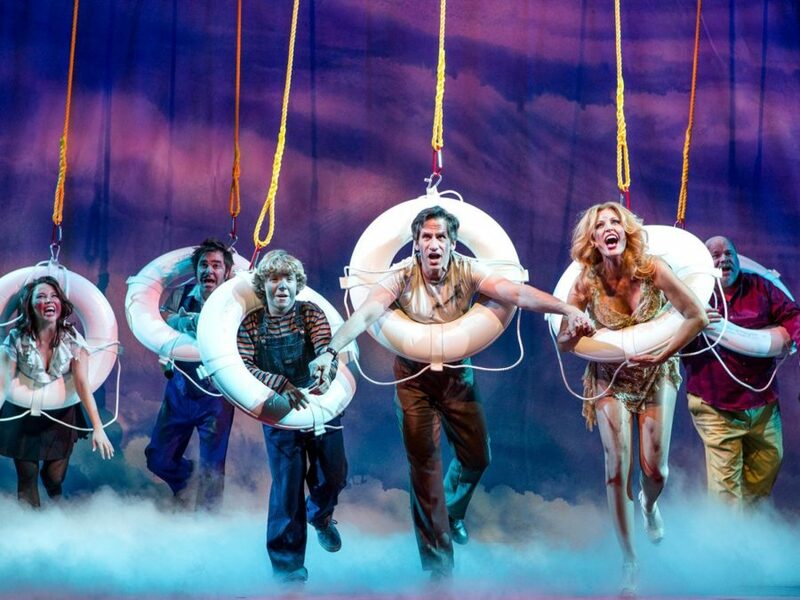 may have ended its Broadway run, but it'll still hit your headphones with some hot stuff! Seth Rudetsky and Jack Plotnick's blazin' musical will release a cast recording. The Broadway Records album will be available on September 9. The '70s jukebox tuner, which played its final performance on May 8, featured a roster of Broadway faves, including Rudetsky himself, Tony winners Roger Bart and Faith Prince, Tony nominee Jennifer Simard, Kevin Chamberlin, Adam Pascal and Kerry Butler. The limited engagement opened on March 8 at the Nederlander Theatre. Disaster! is set on a summer night in Manhattan in 1979 and follows a group of NYC A-listers who party at the grand opening of a floating casino/disco—until disaster strikes. Earthquakes, tidal waves, infernos, killer bees, rats, sharks and piranhas all threaten the guests, who sing some of the biggest hits of the ‘70s, including “Hot Stuff,” “I Am Woman,” “Knock on Wood” and more, all of which will be featured on the album. The cast of Disaster! also included Rachel York, Max Crumm, Lacretta Nicole and Baylee Litrell.